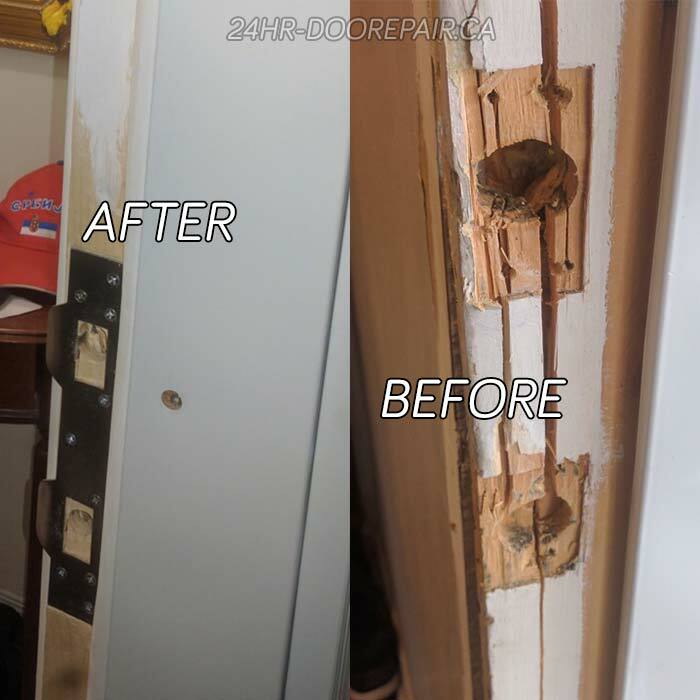 We at 24hr Door Repair deliver exceptional customer service, affordable prices and most important flawless door repair services 24 hours a day, 7 days a week. Feel free to call us at (604) 697-6622 or send us a message with any door, lock or frame related question you might have, we will do our best to solve your problem within the same day you called us. Our 24/7 emergency service is one of the fastest in the Metro Vancouver BC area, with a response time of 20-45 minutes. Watch our recent projects including some actual photos of our work.